Amazon made £22bn in revenue last year across Europe - and paid just £48.8m in taxes. But now the EU is getting tough on the online giants, writes Jude Kirton-Darling MEP. Millions are shopping online following weeks of build-up for ‘Black Friday’. 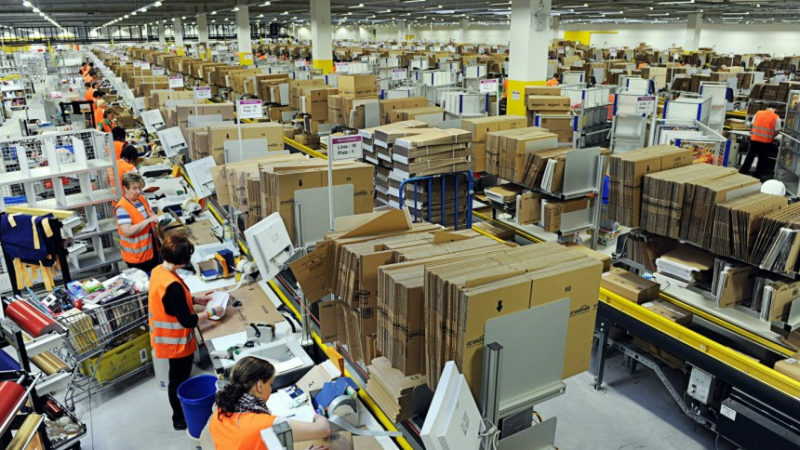 It’s also the day hundreds of Amazon workers in the UK and across Europe have chosen to demonstrate to raise awareness on their dire working conditions and shed light on Amazon’s dodgy tax practices. Reports of abusive or even inhumane treatments at Amazon’s work sites have piled up in recent years with the company accused of treating people like robots. The strain put on workers’ health by the company’s management has become so bad that ambulances had to be called into Amazon UK warehouses 600 times over the last three years. Amazon has not just gained this somewhat ill-famed reputation for the way it treats its workers – it’s also known for its tax wizardry. By reporting their UK retail sale revenues in Luxembourg, Amazon was able to halve its tax bill in 2017 – even though profits tripled in the same year. In Europe as a whole, Amazon made £22bn in revenue last year – and paid just £48.8m in taxes. The EU plays a big role in tackling both issues. As with most of our workers’ rights, UK standards for health and safety derive from EU law. Last year, the European Commission launched a review of EU health and safety rules to update outdated rules in member states within the next two years. Also in the pipeline is the reform of the European Agency for Safety and Health at Work, for which negotiations between Members of the European Parliament and national governments started in earnest earlier this year. It is more than dubious to think that this ambitious EU agenda for workers’ health and safety would be picked up by a Tory-led Brexit Britain. The EU has also made tremendous progress in tackling tax evasion by internet giants in recent years. Rules that allow companies to transfer their tax liability to countries where taxes are lower have been considerably tightened up. A reform aiming at establishing a Common Corporate Tax Base for the EU was adopted by MEPs in March this year and awaits the green light of member states. EU finance ministers are also currently examining a proposal to ensure the fair taxation of the digital economy giants. Whether the UK treasury will ever benefit from these reforms entirely depends on what happens next with Brexit. As shoppers benefit from bargains on this Black Friday, it’s high time we take on Amazon, for its workers’ sake and the public purse – and it’s clear that we won’t be able to do it on our own. Jude Kirton-Darling is Labour MEP for the North East of England. Follow her on Twitter.